In the fashion world there are those who signify style and those who exemplify it. On Thursday, February 2oth at 6pm Macy’s Lenox Square will feature two women who embody both. Hosted by CBS Atlanta News anchor Tracye Hutchins, Macy’s salutes 10 decades of culture defining African-American style with an “In Conversation” discussion featuring journalist Constance White and super model Beverly Johnson. Singer/actress Demetria McKinney will also join in on the panel-style conversation. World renowned super model, actress and entrepreneur, Beverly Johnson made history as the first black model to appear on the cover of American Vogue in August 1974. Ms. Johnson also became the first black woman to appear on the cover of the French edition of Elle. Johnson was honored in 2006 at Oprah Winfrey’s Legends Ball along with Coretta Scott King, Rosa Parks, Tina Turner and other female African Americans in entertainment, civil rights and the arts. The New York Times named Johnson one of the 20th century’s most influential people in fashion. An award-winning journalist, Constance C.R. White is renowned for her wealth of expereince and significant contributions across print, broadcast and online media. 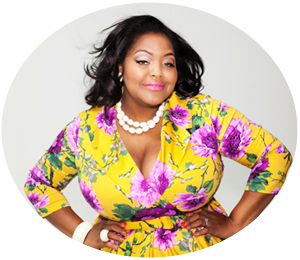 A veteran writer and arbiter of culture and style, M. White has helped steer the brand and editorial direction for some of the most exciting publications, from magazines like Essence and Elle to The New York Times. She is the author of Stylenoir, a groundbreaking book on black culture and style. Guests will enjoy a special performance by Saxophonist Jon Saxx. Following the discussion there will be a special reception and fabulous fashion showcase! Plus, with any purchase of $50 or more during the event, receive your exclusive copy of the new book “Constance White presents the Queen & Kings of Style” and Demetria McKinney’s CD single, “Work With Me”!